Nautical theme parties offer a terrific chance to be really creative with your decorations. In fact, it will be almost as much fun decorating as holding the actual party. If you're not lucky enough to have your own vessel to host a party on, decorating your party with a nautical theme can be the next best thing. Incorporate these decorative items in one of the suggested ways to make your sailing party a breeze. Life preservers definitely evoke a feeling of being on a ship. You can go with one life preserver or hang several around your party space, just as you'd find them on a real sailing vessel. If you have a deck, you can drape rope around the railings and hang preservers at intervals. 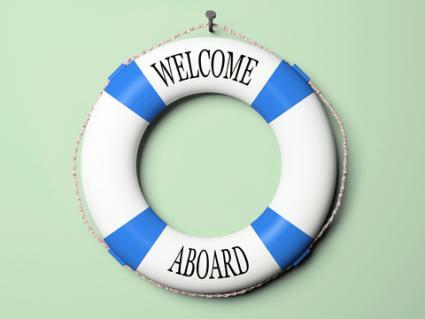 Florida Gifts offers a red and white cloth, decorative preserver that says "Welcome Aboard." Hang this decoration at the entrance to your party to set a festive tone for your guests. Stumps offers a customizable life preserver arch and nautical party wall. It's likely on the upper end of a party budget, but allows you to add your own wording and makes a perfect photo prop. There's nothing quite like a ship's wheel to bring a sea-faring theme to life. 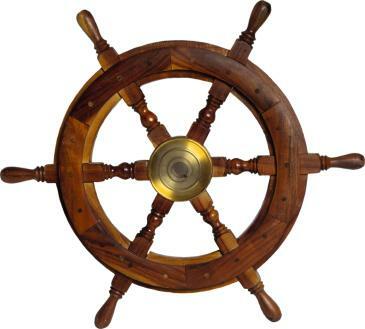 Shindigz offers a 39 x 46-inch cardboard captain's wheel. The unit stands on its own, and the printing looks fairly realistic. If you're looking for something a little more rustic and realistic, Bombay Jewel offers a 24-inch wooden pirate's ship wheel that you can hang or prop against a wall. You might even lay it on a table as a centerpiece and pile some sea shells, starfish and sand dollars around it. Anchors are definitely iconic items to include at any sailing theme party. Use them as wall decorations or turn them into centerpieces. If you're looking for a larger anchor that would make more of a focal point, Bombay Jewel offers a 18 x-12-inch antique-finish wooden anchor with a rope accent. Drape netting at strategic points around your party, or drape it over a plain tablecloth to carry out the nautical theme with your table setting. You can even use netting to define different areas of your party. Florida Gifts offers a 5 x 10-foot fish net that would look great hung from the wall as a backdrop for your party. Shells are small decorating accents, but they can really bring out your nautical theme, especially if you use them in groupings. You can even offer your guests the opportunity to take some home with them after the party as favors. Supermart offers bags of mixed, medium-sized shells that you can scatter around your party tables. Create for Less also offers 12-ounce bags of assorted shells. Pair up starfish with your seashells and a little sand for even more visual interest. Just 4 Fun sells assortments of starfish in sizes ranging from one to three inches. Pelican offers packs of 5-inch finger starfish. Scatter a few plastic sea creatures around your party location, and your guests are bound to get a kick out of them. Pretty Party Place offers plastic lobsters that are just under one-foot long. Century Novelty offers 8 1/2 x 5-inch plastic crabs. You'll find more decorating inspiration than you'll ever need at the following party supply stores. They have items to fit every budget. 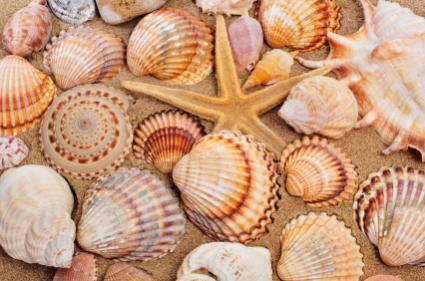 Deltona Seashells and Gifts: This website offers a wide assortment of shells, as well as coral, barnacles, sand dollars, sea urchins and dozens of other decorative items to fit your party theme. Shindigz: Here you'll find a large selection of decorations, including cardboard portholes, 3-D seagulls and full room backdrops. Party Cheap: This website offers a large selection of nautical decorations suitable for adult or children's parties. You'll find sailor hats for the captain and crew, as well as nautical ornaments you can hang from the ceiling, plastic life preservers, 5-foot tall cardboard lighthouses and more. Many elements come together to create a successful party, but your decorations are what really conveys your theme. Offer your guests a nautical fantasy with a variety of decorations, both large and small, that make them think about being out at sea. If you can capture their imaginations, your party is sure to be a hit.